While sharing on various social media sites, people tend to get dissuaded as they have to spend a long time in front of a computer screen. But not any more as now it is possible to do your social media posting with a number of apps that are now available. Buffer is gaining a lot of popularity as it is a social sharing scheduler that you can use with Twitter, Facebook, as well as LinkedIn. What Buffer does is that it will build up a queue of your content. Now it will send it to your connected profiles as per the schedule that you have set. Or even Buffer can set up this schedule for you. The Buffer analytics will be built directly into your dashboard and they will do the follow-up for you. So Buffer saves you time and energy while you still manage to create content constantly on your social media. This is a free service where you can get up to two accounts. In case you want more profiles or additional features, you can opt for paid plans. You would be able to analyze your Tweeting in a way that you have a schedule so that you send your Tweets when your audience is listening. Buffer will connect automatically with such sites and your postings will match your schedule. You can have a Buffer browser extension in Chrome, Firefox, or even Safari. So when you are surfing, simply clip any web page, photo, or even text to it. This is really efficient as you can share whatever you have found without leaving your page. Buffer is compatible with most of the leading RSS readers. This means that you can post directly through your RSS reader too. You can make use of IFTTT which is a free service and allows you to make connections with apps as well as other based on any conditional statement. So in case it rains, it will put a Tweet in your Buffer. You can add it to your Facebook schedule through Buffer. This is a unique way in which you can get your creativity juices flowing. You wish to post something on your social media site and email is all that you have near you; then you can send this post to your Buffer email address. Just put your message in the subject line, and place the link in your email body. Now Buffer will do all the work of adding it to your queue and posting it as per your schedule. Buffer is compatible with iPhone and Android devices too. So now you can take advantage of this service no matter where you are. So now your phone can turn into a super sharer. You can make Buffer work right within your Twitter account. This means that you would be able to snag your favorite Tweets and even schedule a ReTweet for later. This way you do not have to log in too many times a day. Besides, you also save yourself from clogging your Twitter timeline with these ReTweets. Just like Twitter, you can integrate Buffer with Facebook too. So you can share to your own timeline or post as per the schedule set by you. Your business needs to measure in order to know its ROI. Buffer lets you know the number of clicks, likes, ReTweets, as well as shares through its built-in analytics. By posting through your WordPress blog, your writing is added to the Buffer queue. 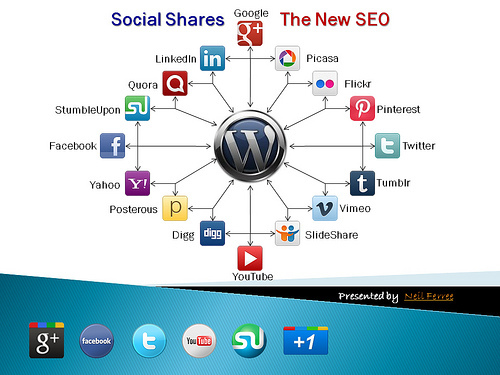 The WordPress plugin will help to optimize each post for the social networks. Even though each social media sites have share buttons on their blog posts, there is a Buffer button that will let readers share content right then or schedule it for later.These 11 tactics to use Buffer effectively for social sharing are a boon for those who find it very difficult to manage their social media responsibilities. It has aneasy-to-use interface that lets you manage postings on various social media sites.